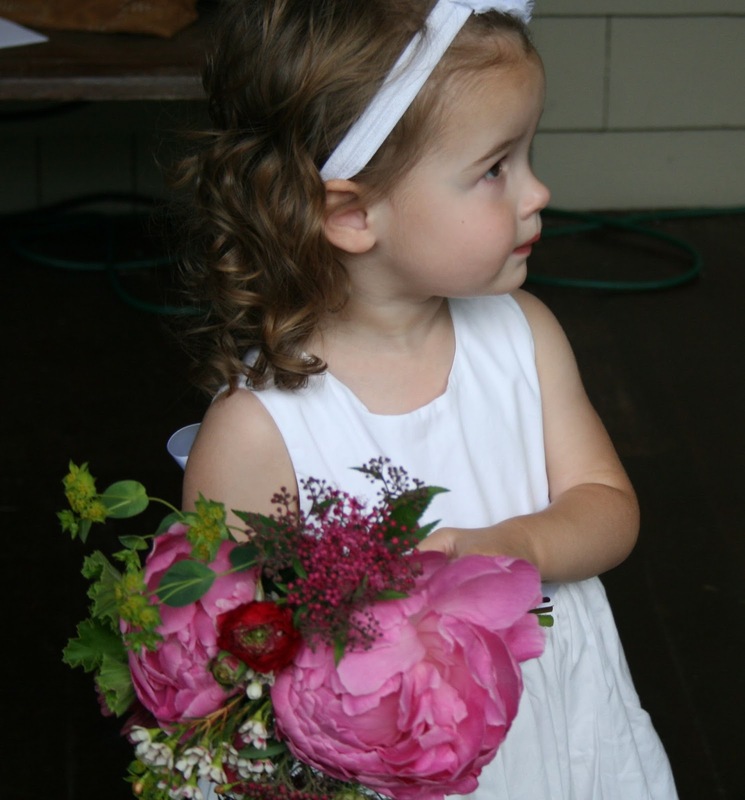 I met erin at the sakonnet growers market in tiverton, rhode island my first summer farming and selling flowers. 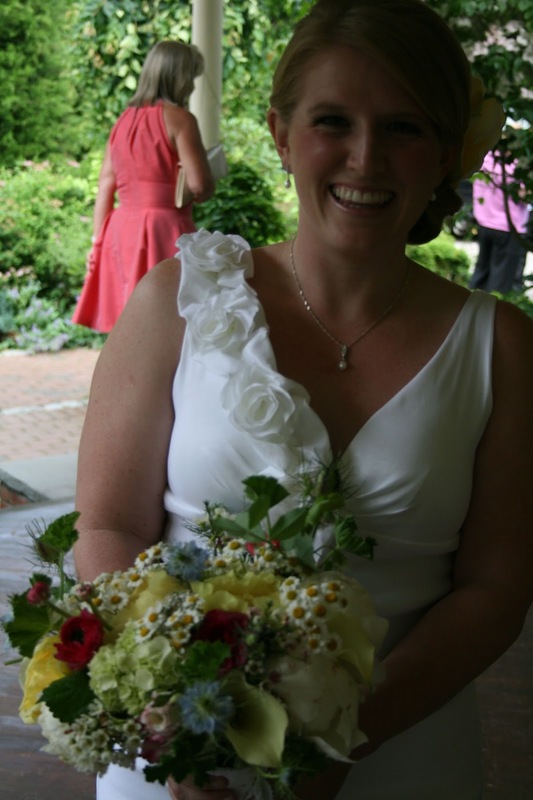 she was a loyal customer, and when she approached me last summer and asked if I would do the flowers for her wedding I was delighted. 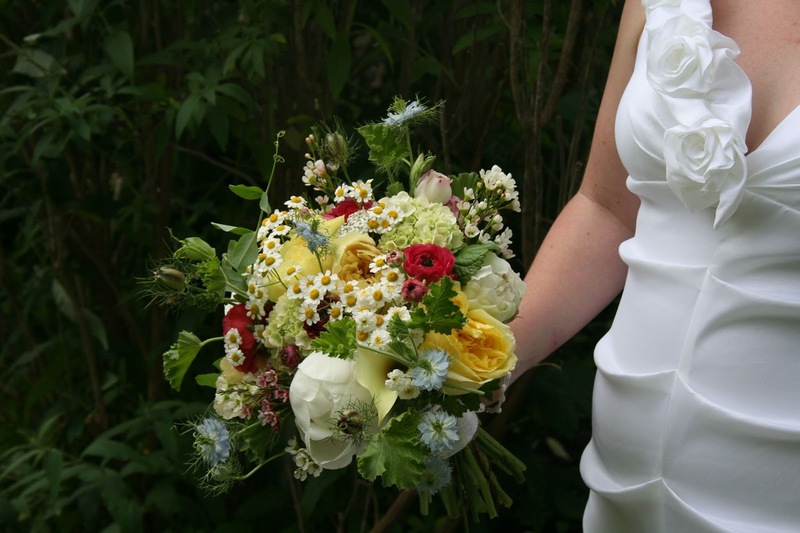 she was very attached to yellow, and wanted big yellow flowers in her bouquet and wore a similar blossom in her hair that matched her yellow shoes. her fiancee, derek, however, was adamant that he have a cranberry flower in his boutenniere. 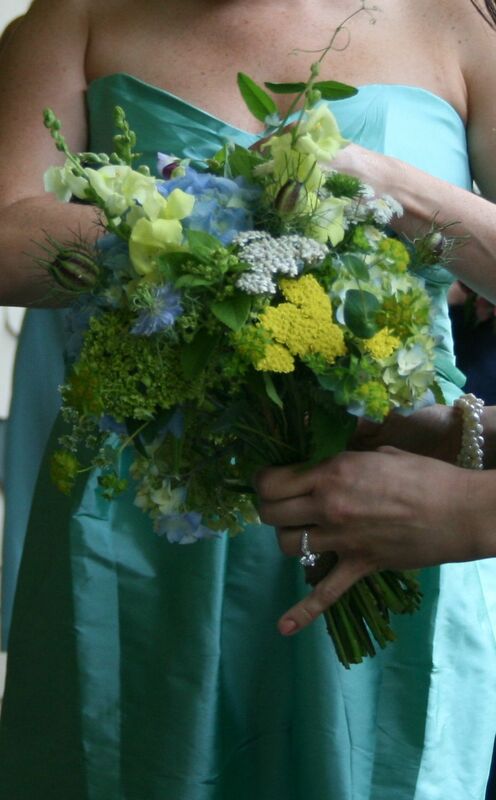 the bridesmaids were wearing sea glass colors. 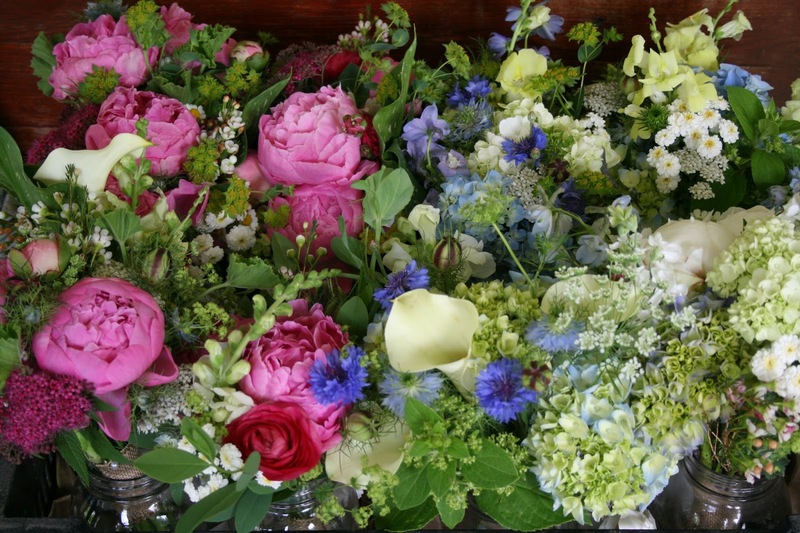 with my trusty sister by my side, we made it work using both the nigella flowers and pods to pull together the blue and cranberry. I located yellow tree peony flowers (which I told erin would be next to impossible to find!) 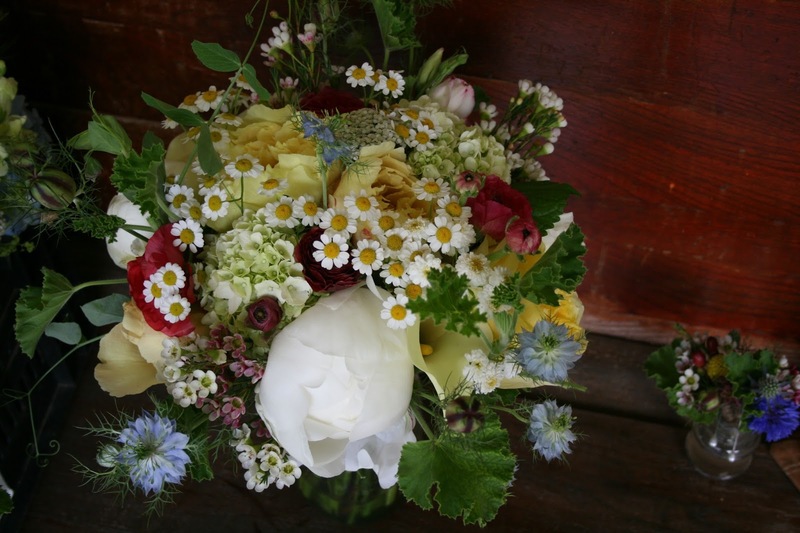 and an explosion of feverfew from the garden worked well with cranberry ranunculus, yellow calla lilies and white peonies. I added pea tendrils for flair, and scented geranium leaves for softness. 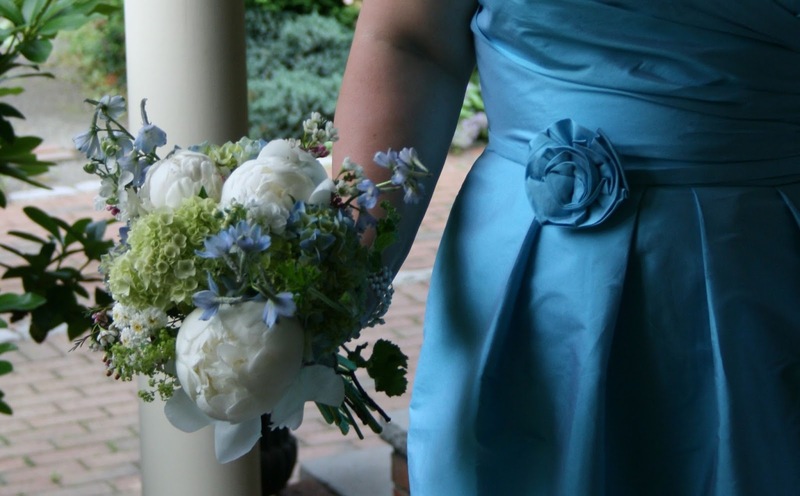 I have to admit, I was completely smitten with the bride’s bouquet. 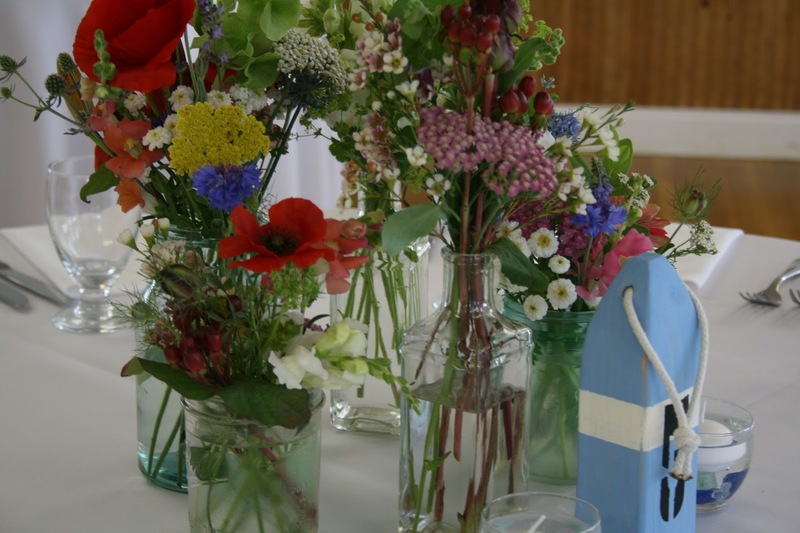 erin and derek collected bottles and jars to mix and match on the reception tables. a seemingly innocent and easy concept turned out to be a lot more work than I expected. 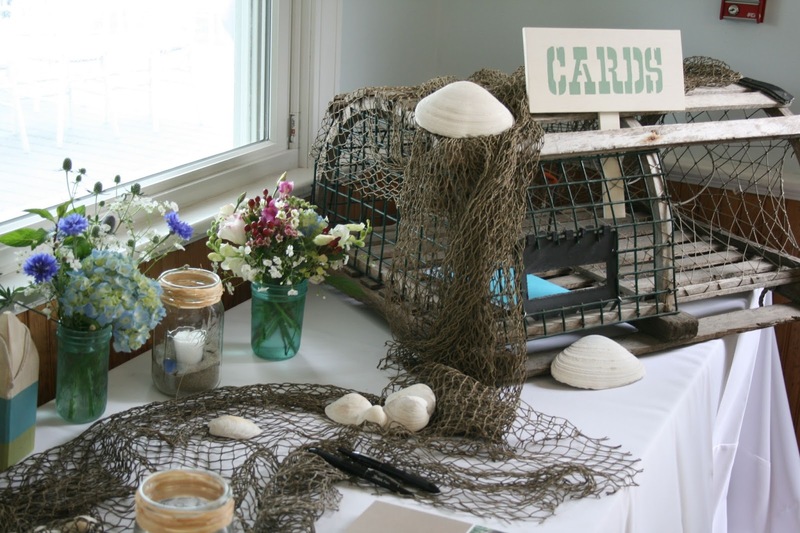 the wedding was at the north beach clubhouse at narragansett beach, and the flowers added just the right amount of color to the nautically inspired room. a beautiful affair. congratulations erin and derek! These pictures are beautiful! Some of the best I have seen from our wedding so far! I can't tell you how happy we were with the flowers. They were, by far, the thing I was looking forward to the most leading up to the wedding (aside from marrying Derek, I suppose…). 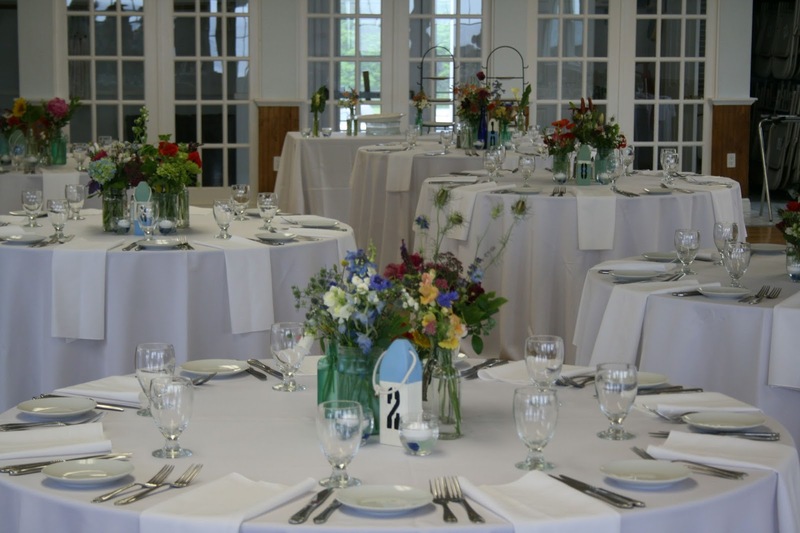 I could not have been happier when I saw my bouquet and I can not believe how beautiful they looked on the tables – it was more than I could have ever expected. 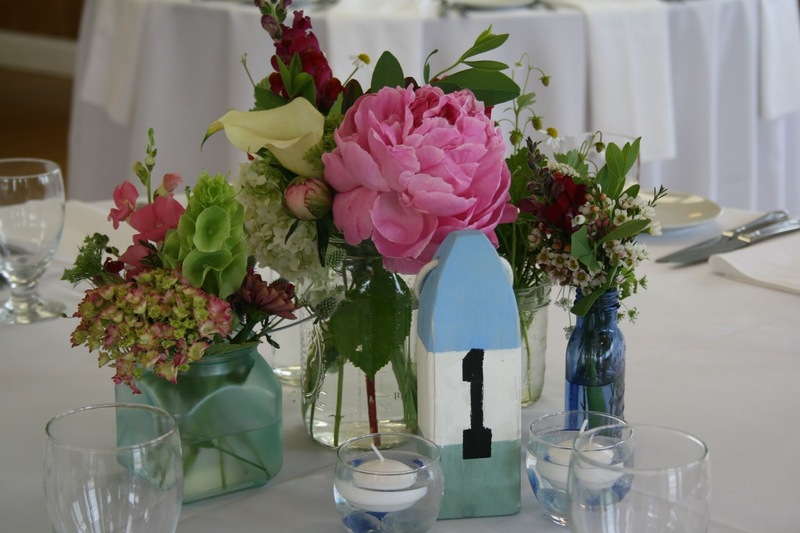 We used all of the centerpieces the following morning when we had guests over for breakfast and have received so many compliments on them. Thank you so so much – Derek and I both appreciate all of the effort you put in to our wedding!